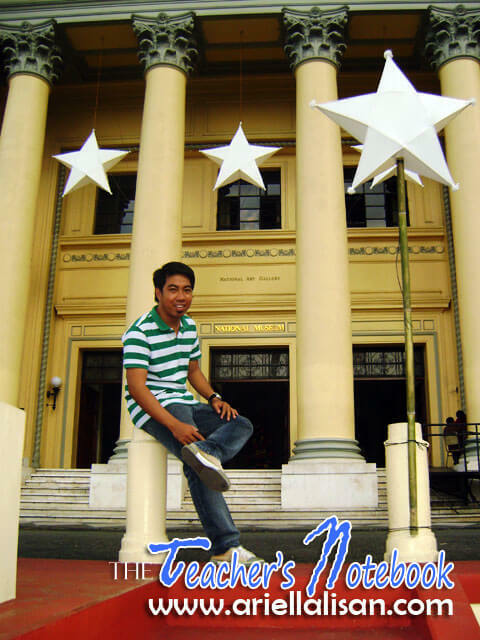 TO MAKE use of our idle time in Manila yesterday, we decided to go to some places of interest in the city. One of which is the National Museum, which interestingly has more to it than archeological artifacts. The building behind me is the same building you can see at the back of a 50-peso bill. 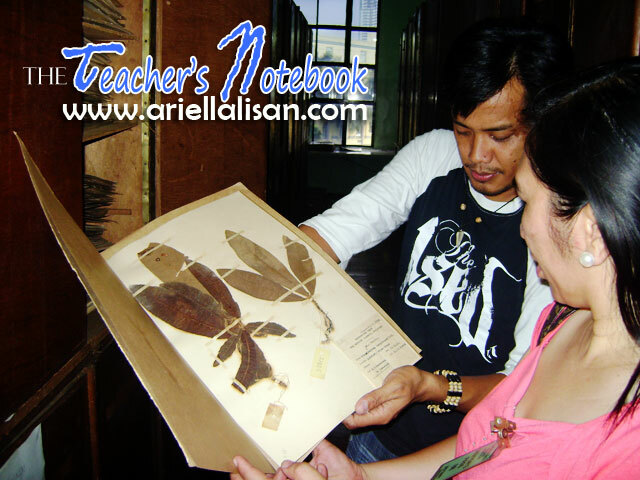 We were very lucky to have been given access to the office of the chief of the Botany Division of the National Museum, Dr. Domingo Madulid, who published the book, A Pictorial Encyclopedia of Philippine Ornamental Plants. We will be picking up copies of his book before going home on December 2. It is such an honor to meet a scientist in real life. He was very accommodating and he kept on asking questions about our congressman, Manny Pacquiao. 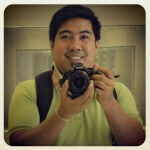 He also said that he had been to Sarangani before and collected plant specimens. 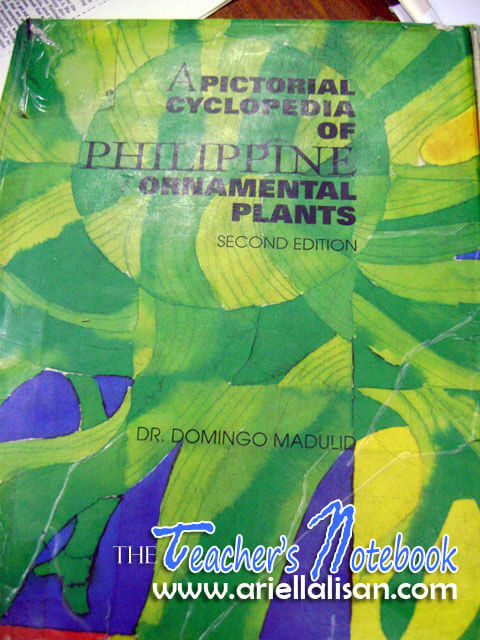 Dr. Madulid cataloged Philippine ornamental plants in this encyclopedia. Dr. Madulid gladly welcomed us in his office. 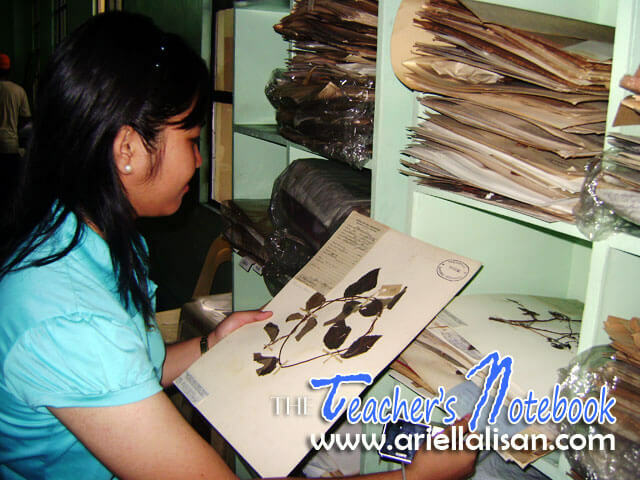 Dr. Madulid also allowed us to see the herbarium, where they keep files of preserved leaves of different plants found of the Philippines. Some of the files are very old but they were still intact. The oldest, according to Sir Mac, who toured us around, dates as far back as the late 1850. He said that some of the collections were burned during the Second World War. He also showed us how they preserve the plant specimens and how they make the catalogs. Sir Mac showed us to the preserved plants at the herbarium. Jewelle examines a sample preserved leaves that dates back to 1951. As an added bonus, we were allowed to enter the hall, which contains skeletons of animals found in the Philippines. What easily catches the attention of the visitors is the skeleton of a huge Sperm Whale at the center of the room. One might think it is of a dinosaur due to its enormity. 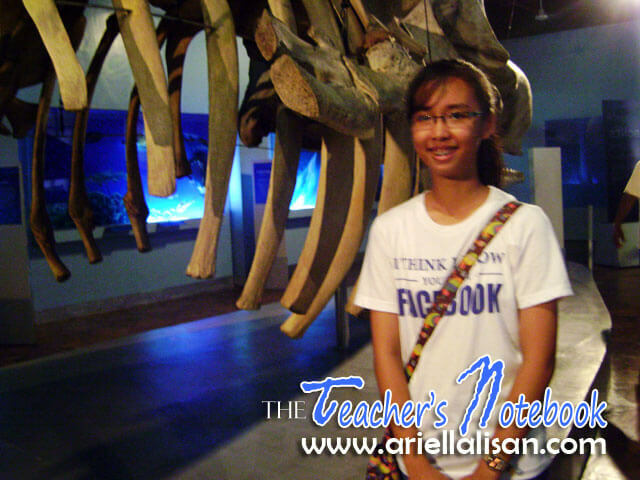 Skeletons of a tarsier, dugong (sea cow), Philippine deer, carabao, cow, horse, among others, can also be found on display. Mifflin stands beside the huge skeleton of a sperm whale that everybody thought was of a dinosaur. And finally, we were given access to the Hall of Masters where the works of Juan Luna and Felix Resurrection Hidalgo can be found. I froze as I stand before the actual Spoliarium, for which Juan Luna gained popularity when he won a Gold Medal at the Exposicion Nacional de Bellas Artes in Madrid, Spain in 1884. 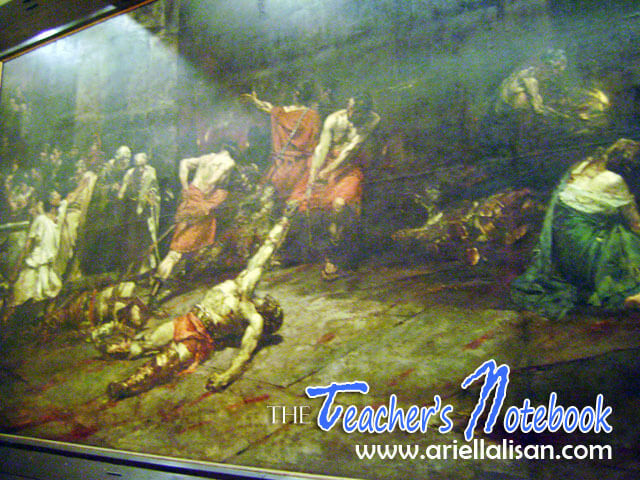 The famous Spoliarium by Juan Luna is displayed at the Hall of the Masters. That afternoon at the museum is one good learning experience I would always treasure. Dental clinic in Fairfax VA herndon Dental.